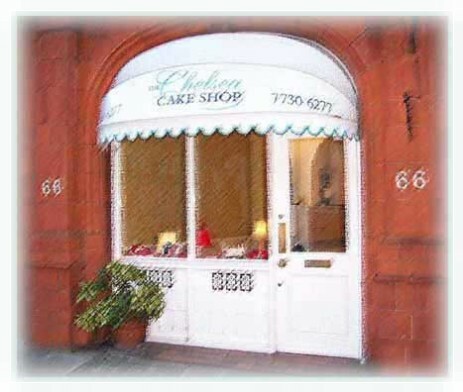 For over thirty years the Chelsea Cake Shop has specialized in individually crafted cakes. From stunning wedding cakes to teddy bears, from pirate ships to pianos - no commission is too difficult, too large or too small. Whether you are celebrating a wedding, birthday, christening or corporate event, we can create a cake that befits the occasion and which tastes as good as it looks. All our cakes are made to order in our open plan kitchen using our own recipes and the finest quality ingredients - delicious dark chocolate and moist vanilla sponge and traditional rich fruit cake. Browse through our website to see examples of some of our previous work or pop into the shop where we have a large portfolio of photographs - just two minutes walk from Sloane Square and a stone's throw from all the favourite haunts of brides to be!